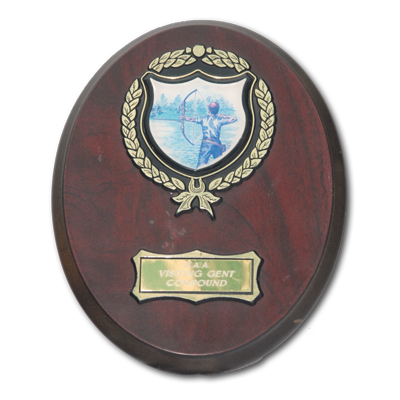 Ceramic shield depicting a compound archer and decorative metal surround, mounted on a wooden plaque. Highest scoring Senior Gentleman Compound visitor. Open only to senior gentlemen shooting the York round with the compound bow.